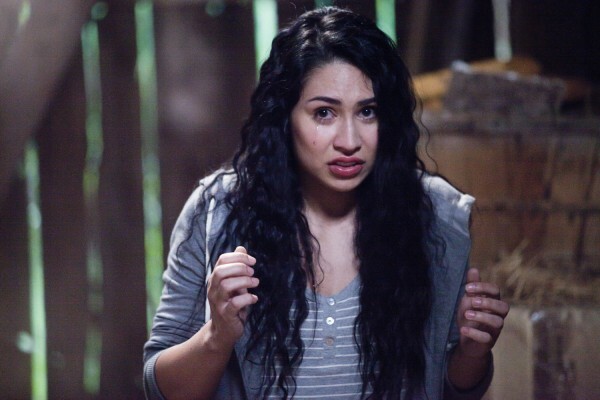 Cassie Steele (My Babysitter’s a Vampire) is Sorority Surrogate, Lifetime’s latest original feature that features a crazy grandma, but never fear, there are guys with guns running around. The plot centers on a college student who decides to be a surrogate mother for fun and profit (mostly profit), and everything goes well until the parents die. Grandma (Mimi Kuzyk from The Husband She Met Online and Pegasus vs. Chimera) is next in line, and grandma is crazy and soon our Sorority Surrogate is handcuffed to beds and guys with guns are running around (as mentioned earlier!) There will be tears in this film that lets us all know that the greatest threat to women having the right to do what they want with their own body is other women, especially grandmas. A college student decides to serve as a surrogate for a wealthy couple in order to pay for tuition. When the couple is tragically killed in a car crash, the unborn baby’s manipulative grandmother ends up next in line for custody and becomes increasingly more controlling of the pregnant college student’s life. Sorority Surrogate airs March 22nd on Lifetime!